We all heard about locusts invasion in the biblical times, but very few of us have heard about the roles being changed lately. They starved us to death 2000 years ago but now we eat them and the problem is solved; a simple solution from a very ingenious nation. 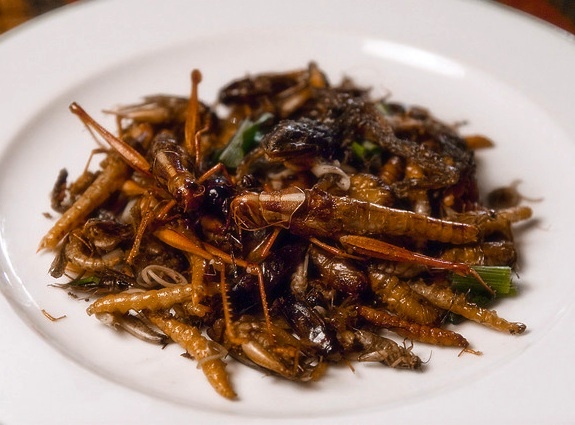 In Jerusalem locusts are on the menu as the only insect kosher meal and, right instantly, this dish made his way in the top of the worst foods ever, along with balut or one thousand years old egg. 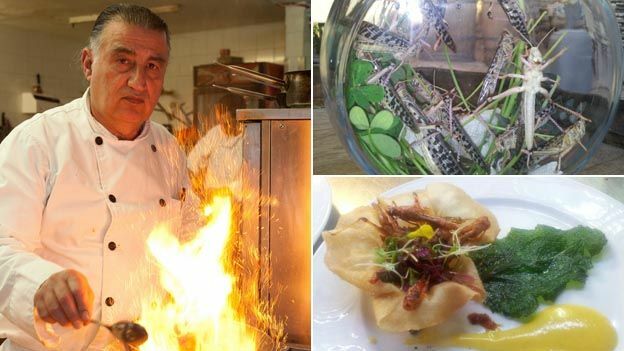 Israel has of late been suffering from a plague of locusts, but fortunately this is the only insect to be considered Kosher, so Israelis have been eradicating the pests in a unique way: by eating them. Deep-fried and chocolate-covered locusts are apparently going down a storm (no pun intended). Here is a flight for a long weekend in Israel; note that the price of 59 euros is with Wizzair membership card. Also keep in mind that June is hot and everything is very expensive, from accommodation to food. More dates available just by a quick search on momondo. Locusts can eat their body weight in a farmer’s crops per day, so innovative humans have decided to turn the tide on the hungry pests by eating them. While there are simply too many locusts to eat the swarm out of existence, Israelis who do tuck in will enjoy a healthy—and reportedly delicious—source of zinc, iron and protein.